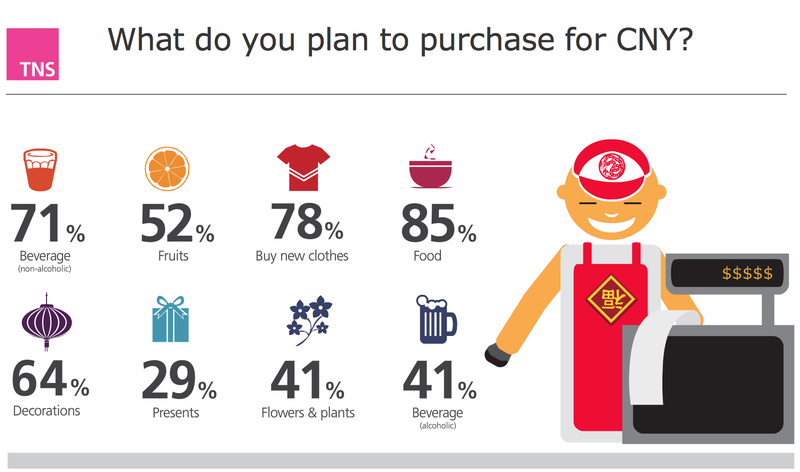 Today, learn what Chinese people are buying for CNY and why. I thought I’d take you shopping in Singapore so we can see the CNY essential groceries. 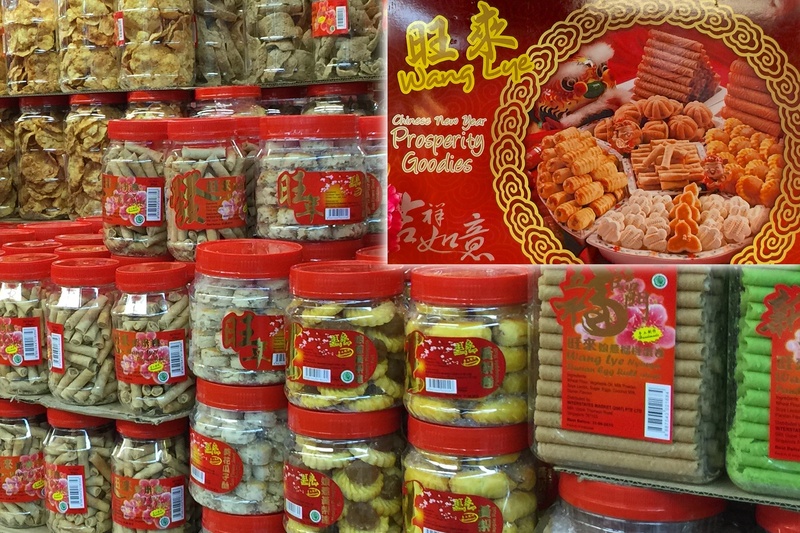 But before we head out, I invite you to read this article on the symbolisms of CNY foods. Symbolism: Eating sweets = sweet year (good luck, good fortune). 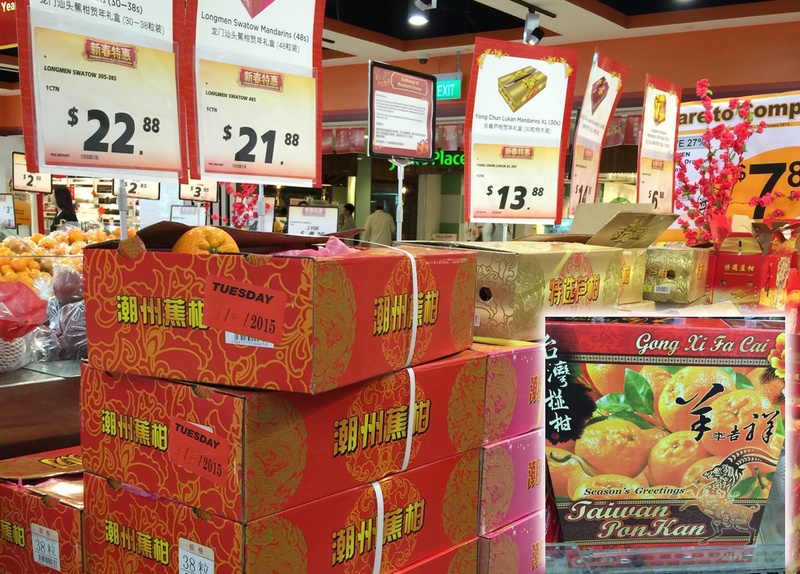 Pineapple tarts are the most popular. Another favourite treat to share in Singapore is the love letter pastry which according to the sales personnel at the grocery symbolises the love of family and friendship. * About the “Tray of Togetherness” an article in Flavour and Fortune says — some Chinese families use octagonal trays because it has 8 sides.. the number eight is a symbol of prosperity. I imagine in the past the Yu Sheng was something the family prepared together as a sort of bonding activity. 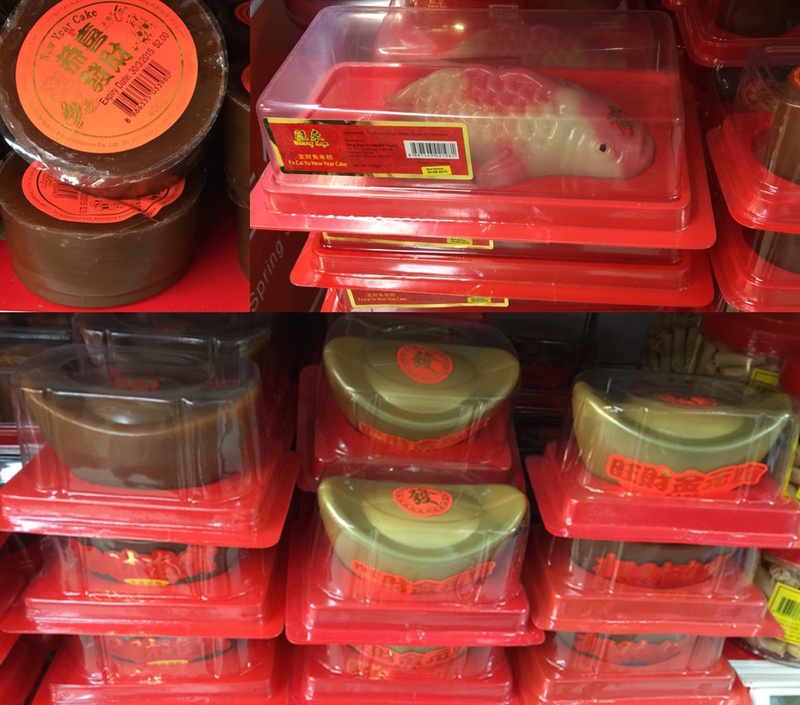 These days, people just buy ready-to- toss-&-eat Yu Sheng kits, then all they need to prepare is company and good cheer! Tiger beer and gold coffee..i can already see these are top sellers this season. Here’s a Yeo’s promotional video. 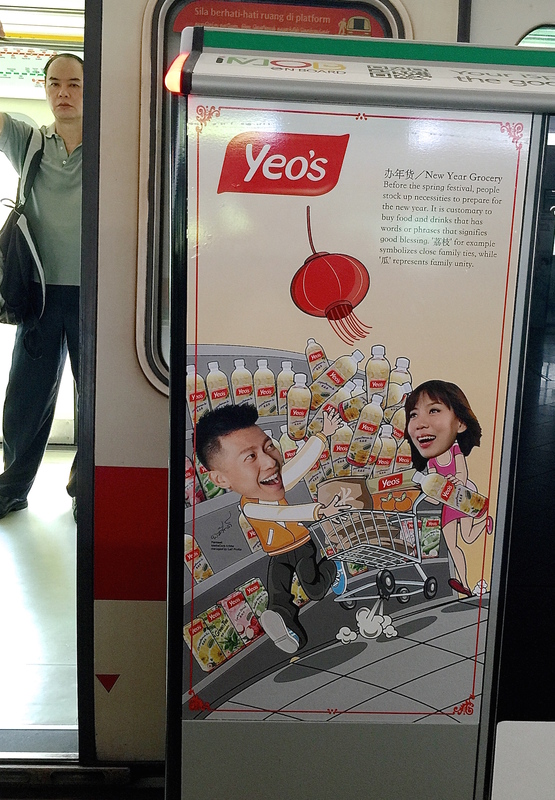 As I said, it was their ads that inspired me to write this special CNY series. 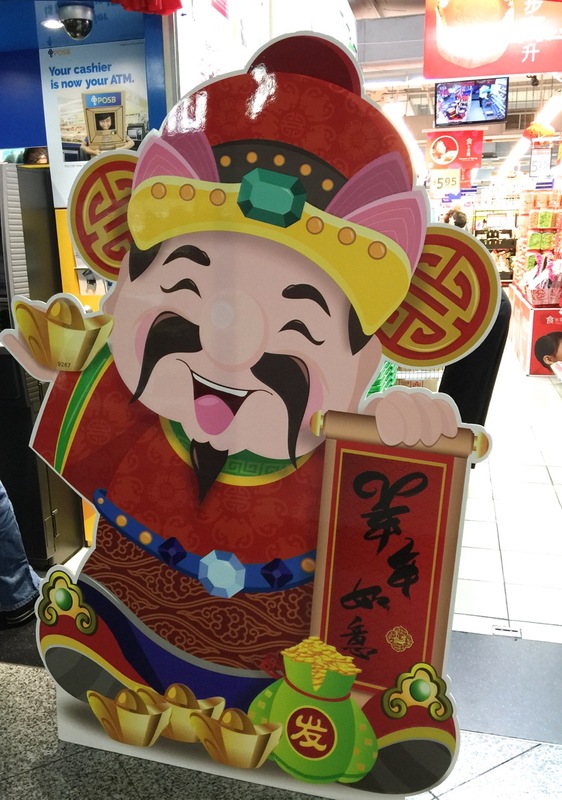 They are aggressively promoting their products as an essential part of the CNY celebrations. I just wanted to show how very western items are dressed for the season. 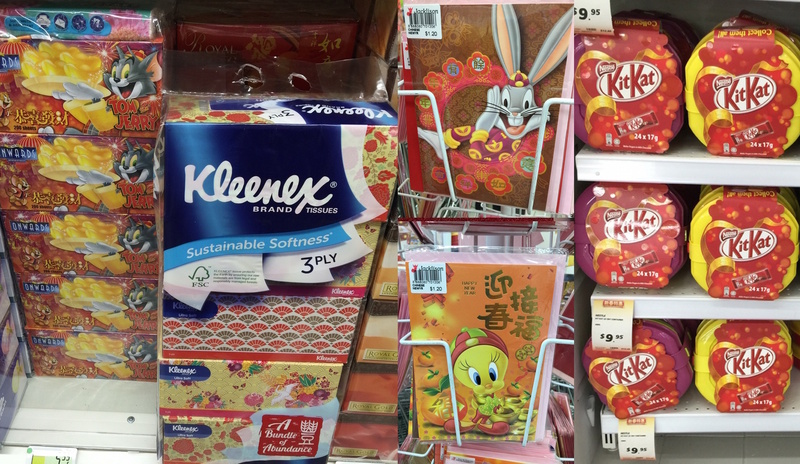 Tom & Jerry, Bugs Bunny, Tweetie, Kleenex and Kitkat…. So do…ponder on the essence of celebrating CNY – to spend time with those we love, reflect on and be grateful for the blessings of the past year and be happy, grateful and hopeful for the blessing of another year. This entry was posted on February 8, 2015 by Paulina Constancia in Bond, Teach and tagged celebrations, world cultures.